Northern Illinois University volleyball’s Mackenzie Roddy was named a candidate Tuesday for the 2014 Senior CLASS Award. 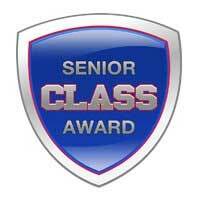 An acronym for Celebrating Loyalty and Achievement for Staying in School®, the Senior CLASS Award focuses on the total student-athlete and encourages students to use their platform in athletics to make a positive impact as leaders in their communities. Roddy is one of 30 candidates for the national award and one of only two from the Mid-American Conference. A native of San Bernardino, Calif., Roddy has played in 105 matches and 378 sets in her career with the Huskies. She has accumulated 1,121 kills in her career, making her the 21st player in NIU history to eclipse the 1,000-kill mark and 23rd in the NCAA’s active career leaders. In NIU’s career record books, Roddy is eighth in attack attempts (3,409), 15th in kills/set (2.97) and 18th in points/set (3.42). So far this season, she ranks second in the MAC with 4.00 kills/set. Among her top performances so far include 29 kills against Colorado, along with 15 kills and a .483 attack percentage against Tennessee. Roddy was named the MAC West Offensive Player of the Week and the MAC Female Scholar-Athlete of the Week on Sept. 1 and Sept. 3, respectively. “It’s a huge honor,” Roddy said. “It wasn’t really on my radar, but it’s great to be recognized as a candidate for this award. In the classroom, Roddy maintains a 3.938 GPA as a business management major. In addition, she earned a spot on the Academic All-MAC Team following her sophomore and junior seasons. She has also been an NIU Victory Scholar each of her three season by maintaining a GPA of 3.5 or higher. Off campus, Roddy has accumulated 30 community service hours during her career at NIU. In addition, she also volunteered this past summer at the FIVB World League matches in Hoffman Estates, Ill.